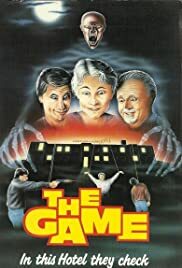 Three bored millionaires gather nine people in an old mansion, and give them a proposition--if they can meet and conquer their biggest fears, they'll get one million dollars in cash. Psycopathic killer stalks teens at a run down, abandoned movie theatre. Young southerner Marco Russo moves to the mafia-controlled north of Italy and finds work with the powerful Manzetti family. He then proceeds to stir the pot between the Manzettis and their top rivals the Belmondos. This is one strange hacked together film, you get the feeling that the bond company had to come in on this one, I'm not surprised there's no credits on it, who would want to be associated with this film. The Acting of all involved is terribly stilted and the plot jumps around all over, it all makes very little sense. As I said before it looks like the bond company had to come in because it seems like there was alot of footage that wasn't shot that needed to be, and all the music was very ill-fitting library music (cheap I guess). Very, very odd. I might actually buy a DVD of it though, if it could let me in on what the hell was going on, and what happened to this movie.